This Elf on the Shelf stationary set includes a large sized pencil case and set of 2 scented blank ink pens with candy cane scented grip! 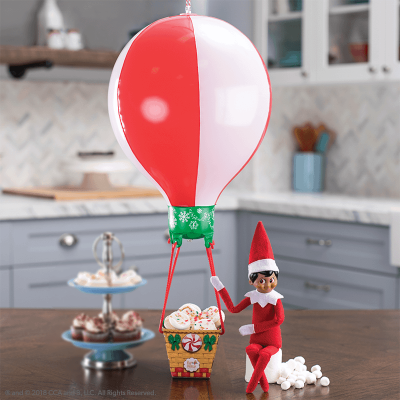 Great idea to use to send letters to Santa with your Elf to the North Pole each night! New elf clothing, props and accessories for 2018 have now been released and are available while stocks last here. 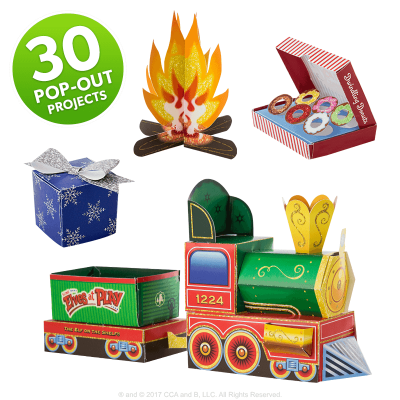 Looking for inspiration with creating elf scenes in your home, checkout our Elf Scouts at Play book with over 100 quick and easy inspirational ideas and 15 props here! 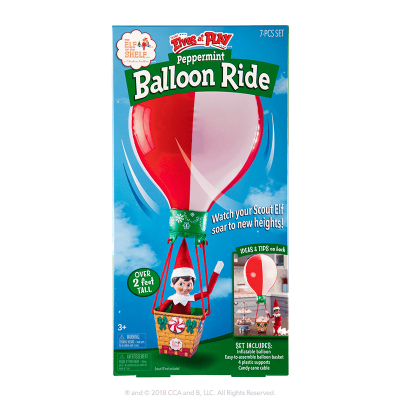 Inflatable balloon and sturdy basket—over 2 feet tall! 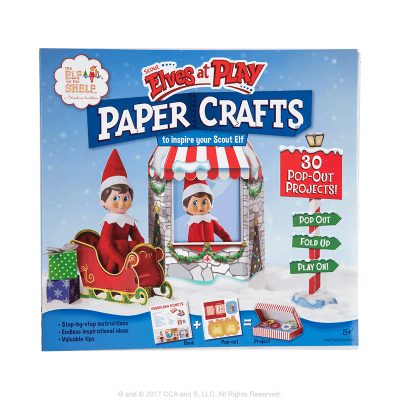 (NB - Does not include Elf) This book will be your lifesaver this Christmas and is full of endless inspiration ideas, tips and tricks. 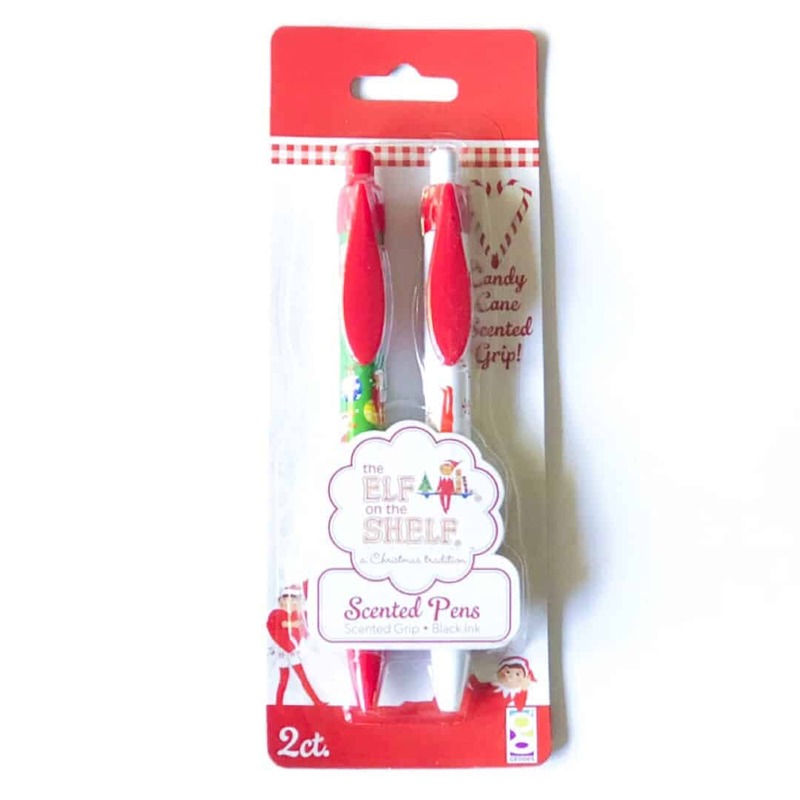 Checkout our other Elf on the Shelf accessories and props here. 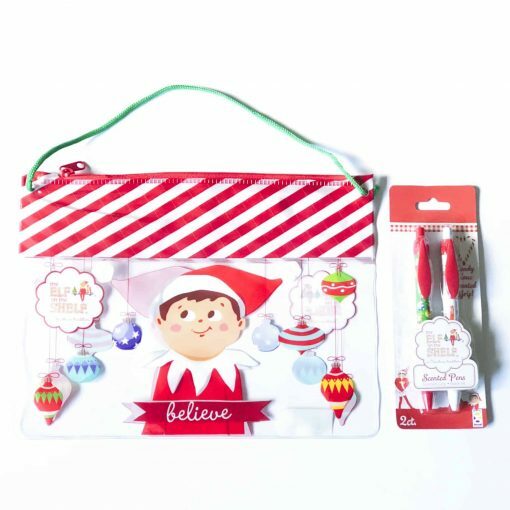 Every order receives a BONUS GIFT Elf Stationary pack including mini Elf notebook, Elf pen and Elf eraser (1 per order). 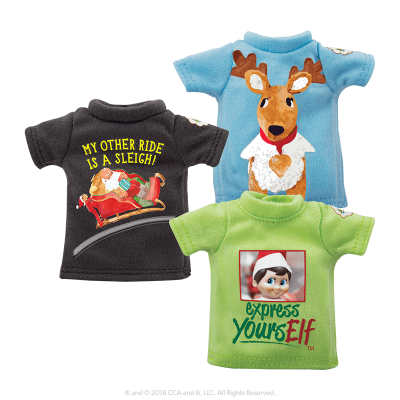 Your Elf will be the envy of the North Pole sporting these funky T-shirts! 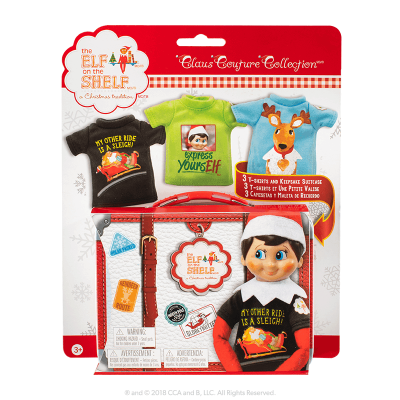 The Express Yourself range of t-shirts comes in a gorgeous travel tin for your Elf. 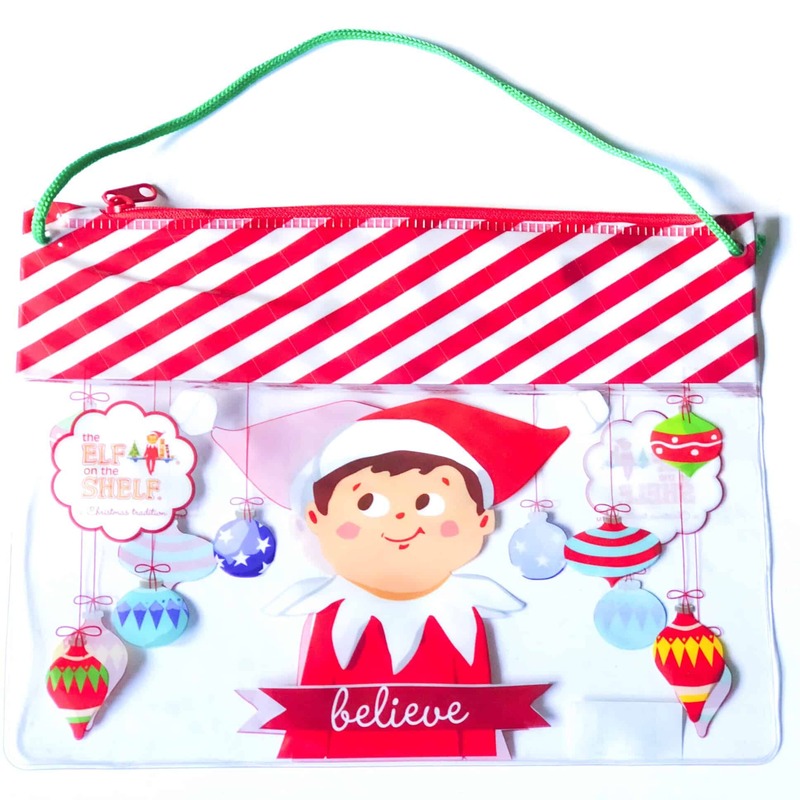 The Elf on the Shelf T-Shirts in tin 3 pack includes : - Pale blue Elf Tshirt with reindeer - Funky grey Elf Tshirt with sleigh - Festive green Elf Tshirt with Elf - ELf travel storgae tin (does not include Elf) Checkout our Scout Elves at Play Book for other Elf accessories and props and book with over 100 Elf scene ideas here.